Katharine Jean Meckel, 85, of Marietta, passed on Thursday, March 23, 2017 at Marietta Memorial Hospital. She was born April 10, 1931 in Chicago, Illinois, to Norine Jean Bishop and William Pelinka and married Richard Meckel in July 1952. During the last years of her life, she lived with her eldest daughter Frances Meckel, married to Jim Raney of Marietta, Ohio. She had 7 other children, six sons — Richard, William, George, Joseph, Matthew, and John Meckel, all married, and one other daughter Kathy Meckel, who live throughout Maryland, Virginia, Pennsylvania, and Illinois, with other extended family in Arkansas, Florida, Michigan, Georgia and North Carolina, as well as overseas. She is also survived by 25 grandchildren and step grandchildren, 32 great-grandchildren and step grandchildren and one great-great step granddaughter. 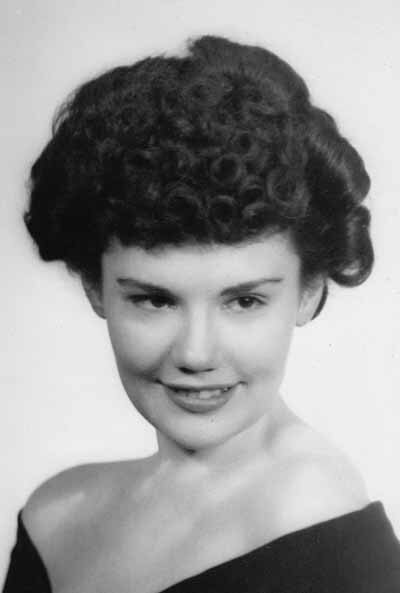 In 1947, Katharine graduated Farragut High school in Chicago as valedictorian of her class and played the sousaphone in her school’s marching band, also writing for her school newspaper. She then attended Roosevelt University as an art history major, having taken art classes from grade school on, later graduating in 1987 at age 56 with a bachelor’s degree, after her children were grown. She moved to Marietta, Ohio from Alexandria, Virginia in 2014, with her family. Katharine Meckel attended both St. Mary’s Basilica and Christ United Methodist Church in Marietta. In her retirement, she enjoyed reading, writing, concerts, and artistic endeavors in painting and ceramics, and doting on her pet cats. In lieu of flowers, please honor her request to donate to the Humane Society of Ohio Valley in Marietta.